Are you planning a kids birthday party? Still not sure where to begin? Start with tips for planning a children's birthday party. Then start thinking about the birthday party theme . Next is choosing activities for a birthday party and then comes the decisions about party loot bags. 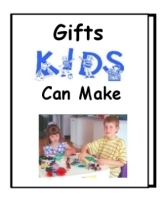 Do you want your children to have great birthday parties? Not just the kind of party where you spend a lot of money to take them some place, but the kind of party that will create a memory for the rest of their lives. These party packages include everything you need to easily create a fantasy party for your child. This book is filled with creative mix-and-match suggestions for unique and successful parties every kid will love. My daughter picked stars as a theme for her fifth birthday. Fortunately she's born in the fall, so it was getting dark early. We invited the guests for 6pm, but asked that they have an early supper. As the children arrived, I had a piece of large black cardboard and some packages of glow in the dark stickers. They decorated a night sky board that she would be able to keep in her room after the party. For a craft, I had found some small cardboard boxes shaped like a star. Each of the girls got their own box to decorate. They could paint, decoupage with tissue paper, and glue on sparkles or jewels. While they were working on the boxes, by husband set up a telescope in the backyard. As he found different items in the night sky, the girls would take turns looking. They checked out some of the features of the moon, planets and a few stars. Or they could stay inside and work on their boxes. Everyone had a great time. Beth's site helps you TakeAStroll down your own online Memory Lane! My son was determined to have a snake birthday party. I wasn't to sure about it, but agreed. Over half the guests were girls, so there was reason to be concerned. He and his sister planned all the games. They did snake limbo (using is six foot rubber snake as the rope), and memory game (about a dozen snakes on a tray that everyone looks at, cover with a blanket and one child removes a snake, other kids guess which one is missing). 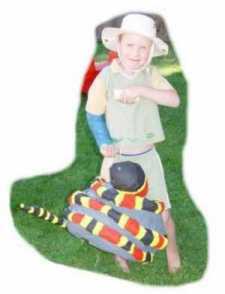 We made a paper mache snake pi�ata that had individual loot bags inside. Even the cake was shaped like a snake (use tube pan to get a donut shaped cake, then cut it in half and move one section to create an S shape). The kids had a great time and it was a lot fun! For my 5th birthday, my mom put together a Raggedy Ann and Andy birthday party. She, being a single mother of three at the time and money being tight, decided to also make Raggedy Ann and Andy dolls for the kids coming to my birthday party. But for the birthday girl, me, she made a 24" Raggedy Ann doll. My son Tanner absolutely loved beanie babies. He collected a few dozen over time and when it was time for his 7th birthday party we collected them and had a beanie baby toss for one of the games. Each child brought his or her favorite beanie baby .I used a colorful plastic laundry basket for the toss. The child who tossed the most beanie babies in the basket in the allotted time was the winner. This was a HUGE hit with the kids! Thanks to Brooke Rock for sending in this idea. For my son's 5th birthday, we did Batman. This party was very involved but the most memorable thing was a treasure Bat hunt. We had given them bat lights (flashlights). There was a room with no windows and the kids had to find their Bat bags (treat bags) The kids were helping each other and because it was pitch black it took some time. We had also decorated the walls with bats, Robin and the joker. The kids even started making stuff up we hadn't put in. It was really fun. Thanks to Heidi T. for sending in this idea. When my daughter was into all things Egyptian, she decided to have Ancient Egypt as the theme for her party. We put a big tarp over the swing set and had an instant pyramid in the back yard. We made a mummy using newspaper logs for the legs and arms, and some scrunched up balls for the body and head. All the pieces were taped together with masking tape. Then came the toilet paper. We wrapped and wrapped that mummy. I bought some fake jewels and scarabs that were wrapped into the layers. The mummy was put into the pyramid with an Egyptian mask on the head. My daughter picked out some necklaces that she thought the guests would like. We buried them in the sandbox, so they could have an archeological dig as one of the activities. The jewelry would be something they could take home afterwards. Each necklace was in a small plastic bag that had room for some of the jewels from the mummy. We even found some Egyptian tattoos that the girls put on when they arrived. They all had a great time and it wasn't like any other party they had been to! on the other side of the hand write out all of the party info, who, what, where, when. Hint: Make it a 'bring a bottle' party and ask your guest to bring a bottle of their favorite nail polish. Make colorful, hand shaped, cut outs and strung together to make streamers. Get each guest to choose a funky nail art idea and try them out on each other. Look for ideas and step by step instructions for nail art designs. Decorate toenails as well as finger nails. Have a nail fashion show, and give prizes for the best dressed nails. For this type of party, it's best to use finger foods to avoid smudges, and in keeping with the finger theme of the party. For my daughter's 7th birthday we had a tea party birthday. Although we did quite a bit of advance preparation, our party could be scaled back to meet most budgets and time restraints. I started with tea pot invitations that I made. I downloaded a tea pot line drawing onto white cardstock. My daughter and I drew in decorative details and colored with watercolor pencils. We wrote the party information on the back. I sized the design to fit into greeting card envelopes, and she hand delivered them at school. 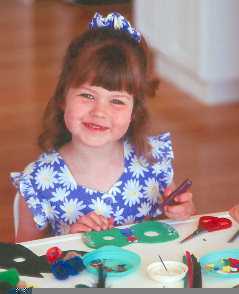 In the month before I began collecting dress up supplies at yard sales and around the house. Old costume jewelry, left over Mardi Gras beads, old prom dresses from family closets, gloves and scarves. I took old high heeled shoes and glued on fake jewels, lace and beads (and old single clip earrings) to decorate. I bought feather boas in the toy aisle at the local dollar store to use alone and to decorate cheap straw hats from the clearance aisle. I also decorated hats with silk flowers and netting. I also collected makeup from my own collection as well as my sister's-those "not quite right" colors and pastel finger nail polishes (make sure you notify parents if you intend to do makeup and nails). We had a dress up station made from a 3 panels hinged together (old doors work well or you can borrow a screen if it's sturdy) with the full length mirror that usually hung on the back of my teenager's bedroom door. We decorated it with more netting, ribbons and silk flowers, used a large, old suitcase to hold the clothes and shoes, decorated shoeboxes for the "jewels" and a separate small table with a stool and mirror for the "makeover" center. I borrowed small coffee tables from the porch, friends and family (I used 3 for ten girls) and bought cheap plastic chairs (again the dollar store) I covered the tables with different colored pastel table cloths and napkins made from discount cotton material with a simple crocheted edging. I made cookies in the same tea pot shape from the invitations and decorated them with colored sugar in pink, yellow and green. I made a tea pot cake baked in a round bowl with a cupcake spout and lid and a handle fashioned from entwined pipe cleaners. We took lots of pictures and video taped. The girls made name bracelets from beads as a party favor, and each took home a "glamour shot" of herself and the group. This party took more time than money, and my daughter and her friends had a blast. Definitely lots of preparation, but well worth it. Thanks to Jessica A. for sending in this idea. For my sons 3rd birthday we had a fish themed party. We decorated with foam fish all over the party room, blue and green steamers from the ceiling so it looked like we were in a fish bowl. We had gotten some Gutters from the hardware store and put endcaps on both ends so it made two troughs. We laid these on the coffee table so it was kids height and filled them with water. We had fish races. We had gotten like 20 feeder fish from the pet store. We had the kids pick a fish and watch them race. It was a hoot the kids had a blast. Then we had also gotten some small tanks with lids and handles from the pet store and that was the kids party favor to take home. We also sent home a bit of food with each one. We would get reports on how each of the fish were doing it was really fun. One fish lasted past the next birthday. When my daughter turned five, she was fascinated by super heroes. Her birthday is in October and the Halloween costumes were already in the stores so we had a costume party. She got to wear her costume more than just Halloween and the kids all loved it. She was Supergirl and her cake had the Batman emblem on it. We had it on a Saturday which is a big soccer day so we had a few soccer players show up. They came in their 'soccer player costumes'! Thanks to Wendy D. for sending in this idea. Cammo's mandatory, face paint provided. All the boys and some of the girls turned up in Camouflage gear and Dad and a friend were Drill Sergeants for the afternoon. They ran obstacle courses and races. At the end was a passing out parade with medals the Drill Sergeants awarded to each child based on one great thing they did that afternoon. The cake had GiJoe on it and the photos turned out great! Thanks to Bec Jarvis for this party idea.